The recruitment racket came to light on Saturday night when 18 people from Maharashtra and Goa were arrested after raids. 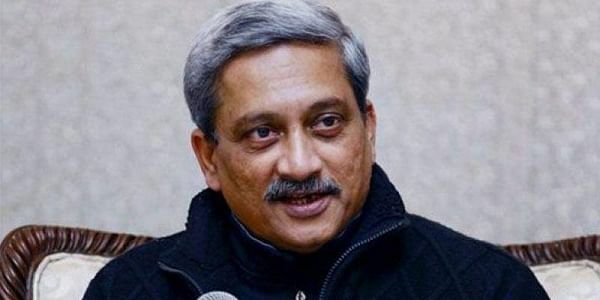 MUMBAI: The Shiv Sena today hit out at Defence Minister Manohar Parrikar over the Army paper leak, and said that BJP should take entire responsibility of the incident that has dented the government's image. "Manohar Parrikar wants to become the Chief Minister of Goa again and is holding the reins of the Defence ministry from Panaji. But atleast till he holds the post (of Defence minister), he should perform his duty," it added. The Sena said that since the issue is related to national security, the BJP should come forward and accept complete responsibility for the paper leak. "The PM talks about nationalism and sacrifice but his talks does not seem to be percolating to the ground. If there is nationalism in note ban, then it should be in Army recruitment as well," it said. The recruitment racket came to light on Saturday night when 18 people from Maharashtra and Goa were arrested after raids. Three more persons were arrested yesterday. All of them were sent to police custody till March 4 by a Thane court. Army recruitment exams slated on February 26 at Kamptee, Nagpur, Ahmednagar, Ahmedabad, Goa and Kirkee (in Pune) were cancelled after the question paper leak.